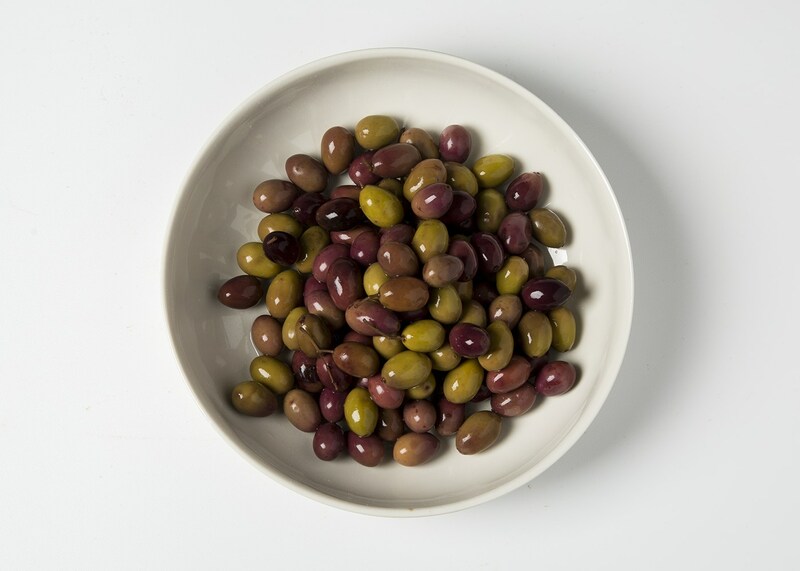 Soft and velvety, small but packing a fruity punch, Benza Taggiasca olives are THE perfect snacking olive. Extremely low in acidity, their bittersweet pulp is bursting with fresh oil, and their colorful skin in shades of green, purple, and brown will make a lovely addition to your next aperitivo platter. Equally delicious raw or cooked, they make an excellent topping for pizza or traditional Ligurian focaccia. Pair them with a perfect negroni, or chop them into a salad or rustic sauce for pasta, fish, or poultry. These olives are preserved in brine, using a very precious, natural, and pure mineral rock salt. Taggiasca olives are the most prized Ligurian olives, and the source of the region’s signature delicate, balanced olive oil. Claretta and Gigi Benza are a mother and son team, who jar the olives themselves. As they like to say, tasting their olives is like taking a journey into the hills of the Imperia valley in western Liguria, where the temperate seaside climate and calcium-rich soil create the perfect Mediterranean olive.